Living through a full-blown kitchen renovation is not exactly something I'd want to go through again, but the end result was worth it. Before and after photos of our kitchen can be found here. Follow me on Instagram for evolving photos of our home. 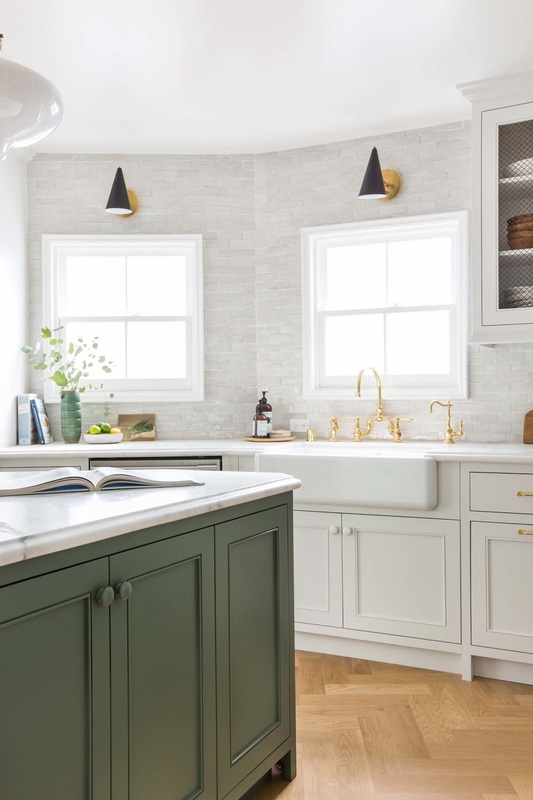 Although I was tempted to incorporate "trendier" components into our kitchen design, I am glad I went with my gut to stick to a more classic scheme - especially when it came to the cabinetry color. Did I play it safe? Probably. But will our kitchen stand the test of time? Definitely. A classic kitchen that suits our design sensibilities and home's style, PLUS one that transcends time and various design tastes (good for resale value! ), were major goals for our new kitchen. 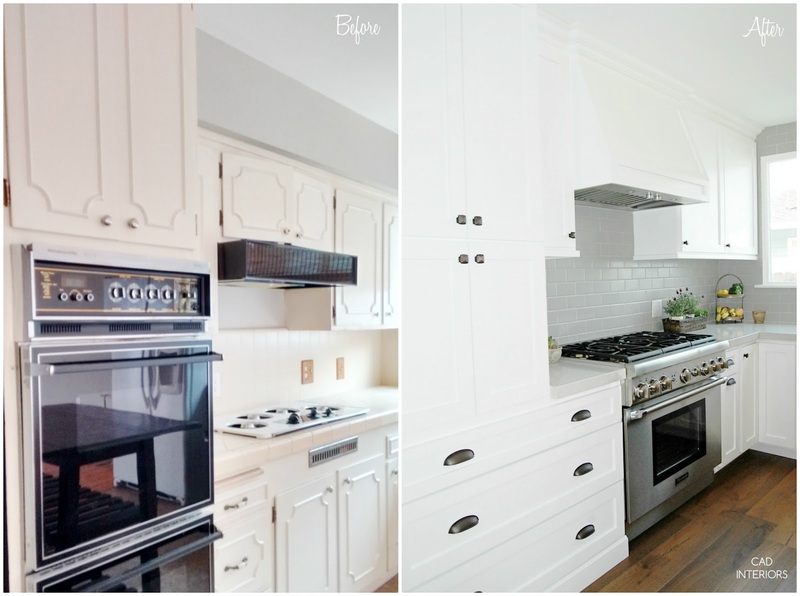 However, while white kitchens (or white/espresso-black in our case) are seemingly timeless, colored kitchen cabinets don't seem to be going away either. Gray or navy kitchens anyone? 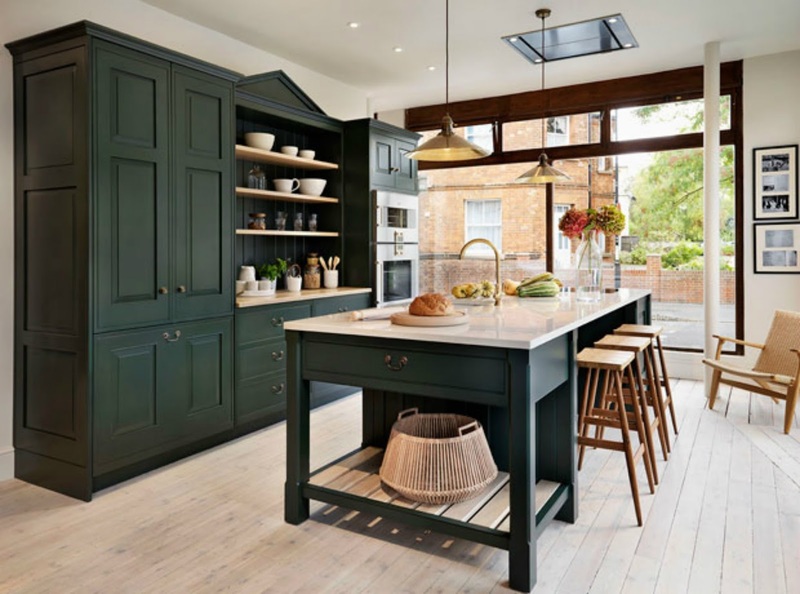 While gray and blue kitchens are still trending, another color is also making its way to the forefront of kitchen design: GREEN. Kitchens are quite the investment. So, if you are one that does NOT intend to update your home often, or is more traditional at heart, a completely "green" kitchen may not be for you. However, if you are drawn to the green kitchen trend, I'd suggest incorporating the color in smaller doses - like on the island or lower cabinets - AND using greens with a neutral undertone like gray. What do you think of this design trend? Are you a fan of green-colored kitchen cabinets? This shade of gray-green cabinets is nice. But I don't like the emerald or bright green shades I've been seeing. Yes, I would definitely stick to the more "neutral" side of green - that with a gray undertone. More compatible with different decor schemes and less trendy! This kitchen is absolutely fabulous!! Love everything about it. Yes, there is so much inspiration in these kitchens! 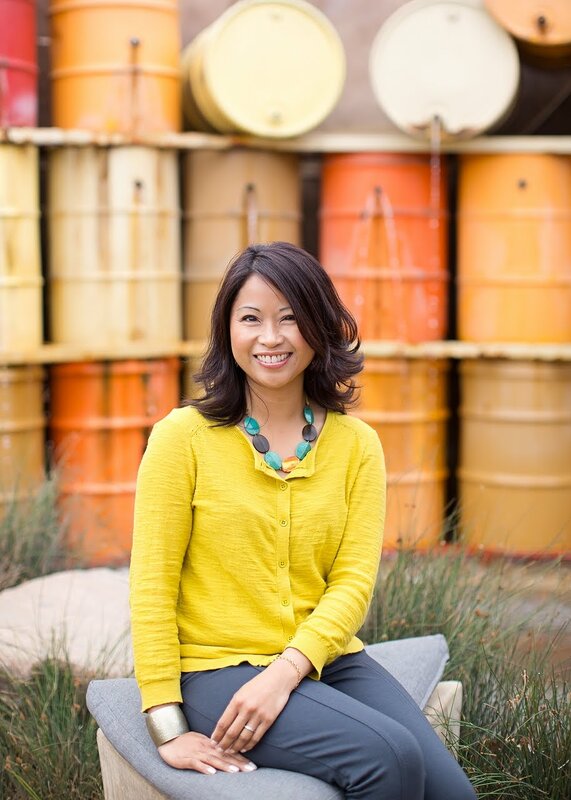 Thank you for stopping by and taking the time to comment!